but I wanted to use PCSX2 to emulate them on my gaming PC so I could record my gameplay without investing in an expensive game capture device. I ebayed a PS2-USB gamepad converter like I have used in the past for playing on Stepmania, but that was many years ago. 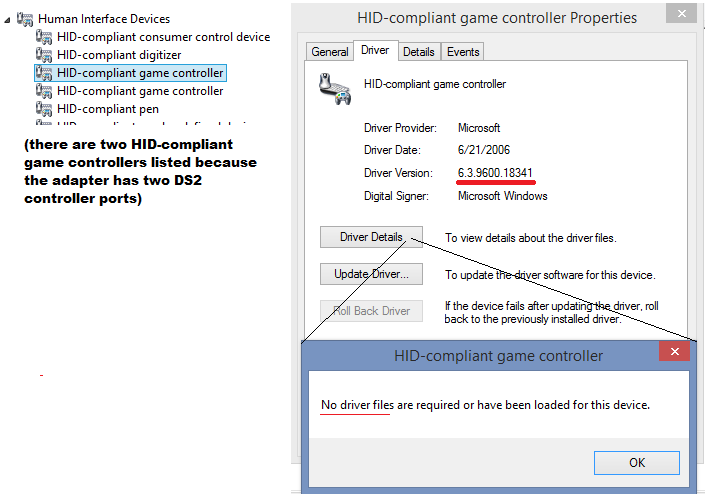 It seems that since Windows 7, Windows OS's force driver signing verification and 'pretends' to install the driver for the USB converter. I've tried disabling driver signing (in both command prompt with admin and through the startup method). I've installed a bunch of programs trying to get it to work. The most promising was ScpToolKit but nothing in it was for DS2 controllers. The controllers appear in Control Panel under USB Gamepads as "twin USB network gamepad", but none of the buttons register and the menu crashes when you go to the vibration menu. I have never had a windows menu crash before. Since this a PS2 emulation forum I thought I would find a thread for this but I searched for awhile and found nothing. Does anyone have a solution or am I required to get an additional controller?